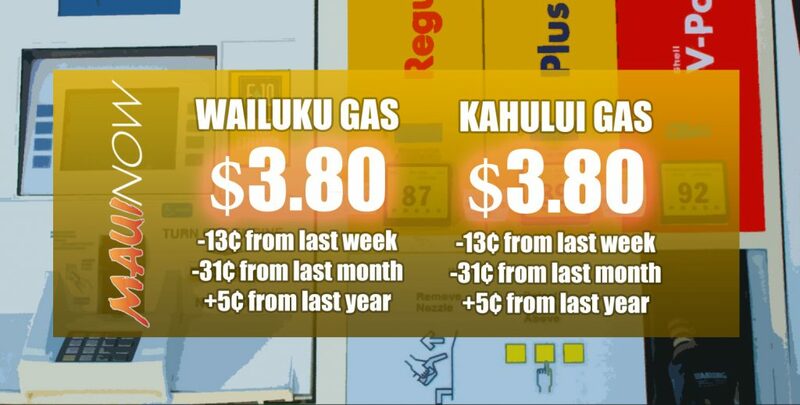 Maui Gas Prices, 1.31.19, data courtesy AAA Hawai’i Weekend Gas Watch. Maui’s gas prices are up seven cents from week before levels, according to the AAA Hawaiʻi Weekend Gas Watch. 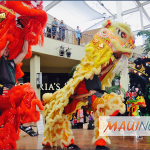 On Maui, the average gas price is $3.63, which up seven cents from last week, 10 cents lower than last month and 21 cents lower than a year ago. The statewide average price is $3.26 a gallon, which is the same price as last Thursday, 10 cents lower than a month ago and 13 cents less than a year ago. In Honolulu, the average price for regular is $3.11, which is unchanged from last Thursday, 11 cents lower than on this date a month ago and 11 cents lower than last year. 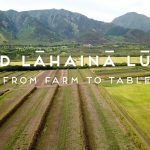 Līhue’s average price for regular is $3.51, which is down a penny since last Thursday, seven cents lower than on this date last month and 12 cents lower than a year ago. The Hilo average price is $3.27, which is up one cent from last Thursday, eight cents less than on the same date last month and 13 cents lower than a year ago.